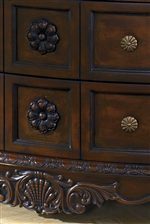 This exquisite upholstered bench features ornately carved wood legs with scrolls and delicate curves. 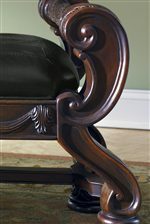 Beautiful ribbon carvings across the baseboard and elegantly carved wood arm rests add a touch of sophisticated flair in this grandiose bench. 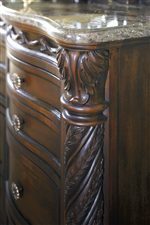 Inlay stone veneer tops and decorative pilasters bring traditional style to a new level. 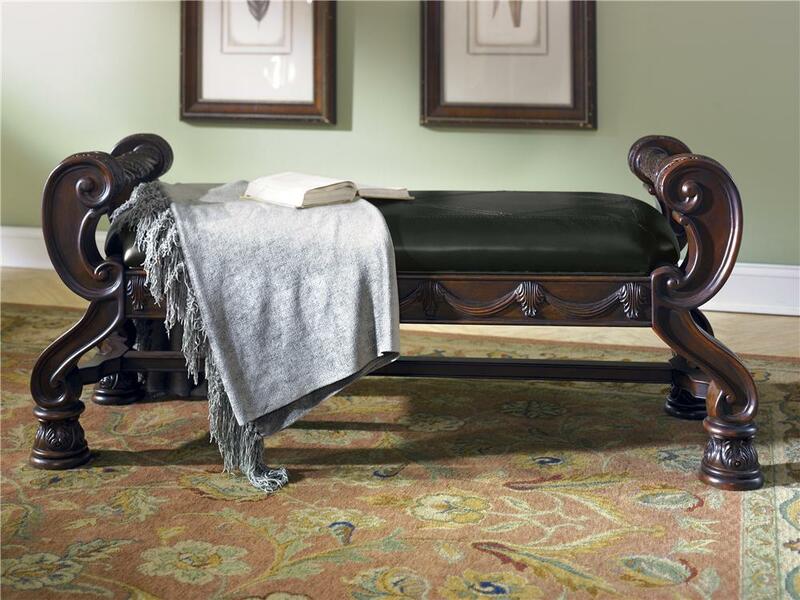 Transform your home and bedroom with this exquisite and fantastic bench. The North Shore Upholstered Bench with Exposed Wood by Millennium at Household Furniture in the El Paso & Horizon City, TX area. Product availability may vary. Contact us for the most current availability on this product. 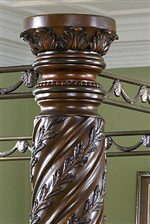 Arm Rolled arms, scroll arms, and flair tapered arms appear in this collection. Frame Construction Frames have been tested to GSA government standards. Corners are glued, blocked and stapled. Seat Support Seats and back spring rails are cut from 7/8 hardwood. Stripes and patterns are match cut.